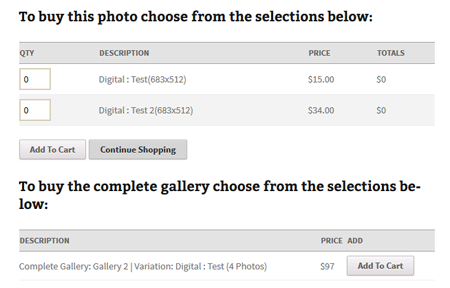 You can choose to have an option in the price list so your customers can purchase the entire gallery for a special price. Remember that this is an optional feature. If you want to enable this feature, edit the price list in question and enter the price for the entire gallery in the “Complete Gallery Price” field.